Join Tiffany Stone and Jori van der Linde as they celebrate the launch of their new picture book, Teatime! 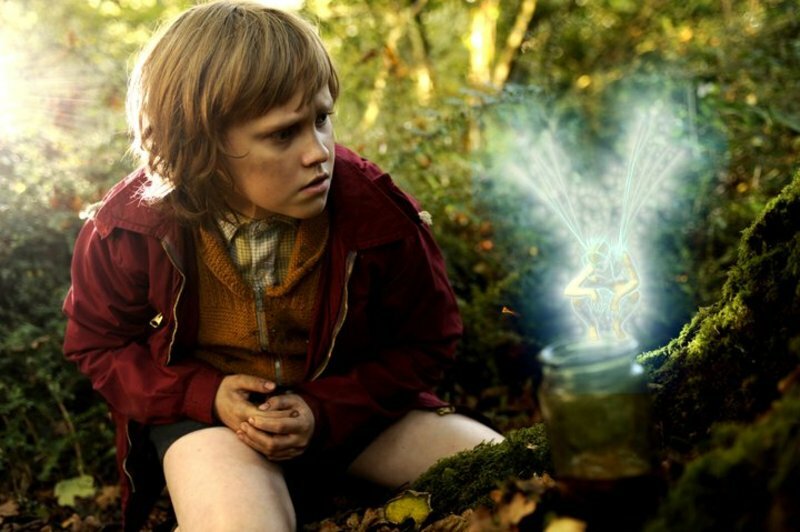 There will be a reading, book signing, craft and special Lyceum Fairy Tea. Christianne's Lyceum is located at 3696 West 8th Avenue, Vancouver, BC. Phone them at 604-733-1356 for more info. 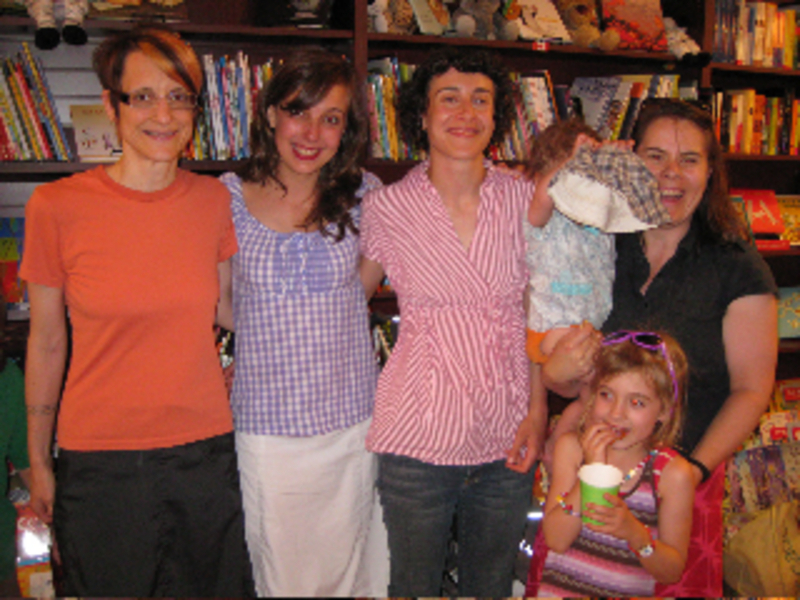 Paola Opal celebrates Authors for Indies Day with events in Vancouver! 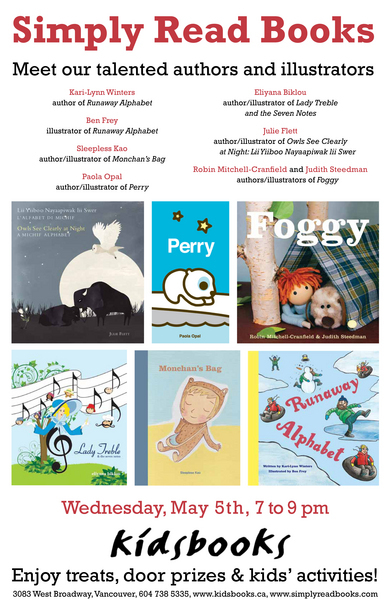 Canadian Authors for Indies Day is on Saturday, May 2, 2015. Across the country, authors will visit bookstores for readings and engaging with readers and booksellers. Join Paola Opal as she presents her Simply Small board book series in Vancouver as part of the event! Come meet Stephen Parlato and view the marvelous art from his book Dragons Love and the upcoming Dragons Love Art! Join author Brandee Buble to celebrate the launch of O'Shae the Octopus! Join us to celebrate the launch of Anna May's Cloak! Meet Christiane Cicioli, discover the inspiration behind the book and enjoy refreshments! What: Celebrate the launch of Julie Flett's lovely Wild Berries! 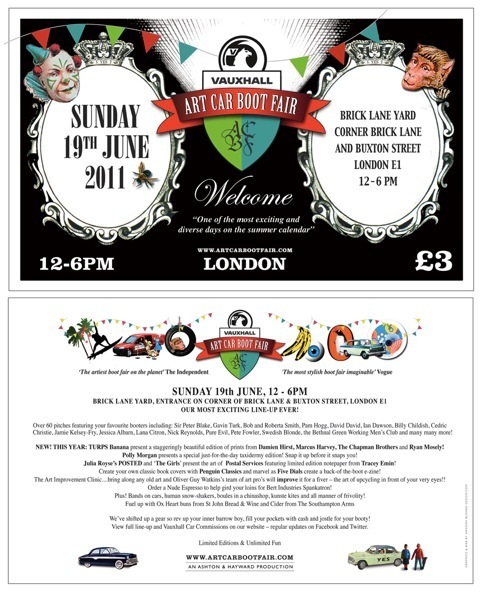 Crafts, signing of books, a reading ;) Come and check it out! Come meet Dan, and a copy of the beautiful Dream Boats! Meet Kallie and get a copy of Spark! Join author Jennifer Lloyd as she launches two fantastic new books: Murilla Gorilla and The Best Thing About Kindergarten! Join Christianne’s Lyceum and Simply Read Books for the launch of Dream Boat by Dan Bar-el, illustrated by Kirsti Anne Wakelin, a magical picture book about the night time reveries of children all over the world. Meet Jennifer Lloyd, author of Ella's Umbrellas and Murilla Gorilla, for a book reading and signing. Jennifer Lloyd talks about her new early reader to the Book Blasters at Christianne's Lyceum. Find out how she was inspired to write the series! Meet Jennifer Lloyd, author of Murilla Gorilla, and get a signed copy! 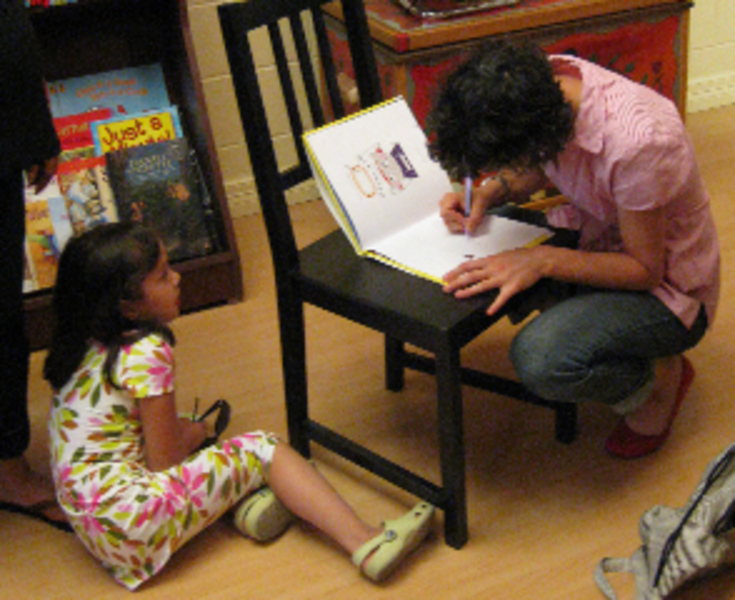 Meet the author of Murilla Gorilla and make a detective craft! What: Celebrate the launch of the 3rd Chantel's Quest book by Oliver Neubert! There'll be book sales and signing, children's activities, refreshments and the Moon Stage where songs and poems will be preformed. 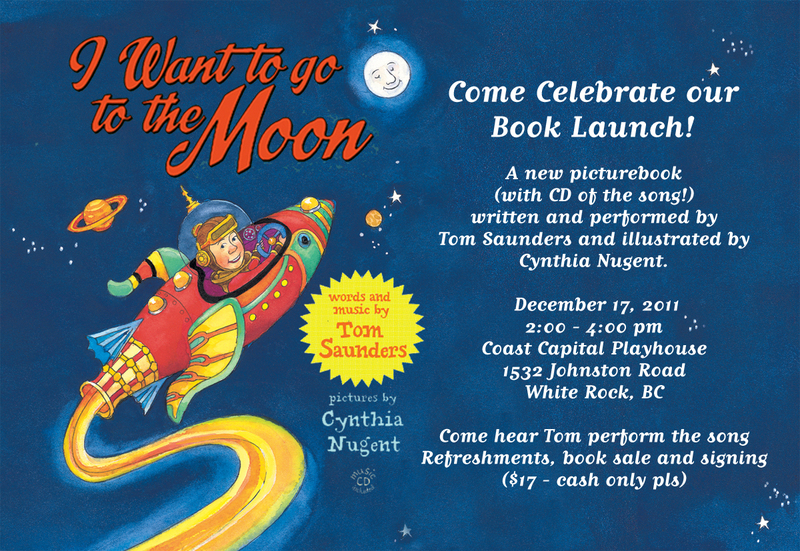 Come hear Tom Saunders perform the song, enjoy refreshments, and buy the book -- a signed book makes a great Christmas present! Come celebrate the launch of Under the Mound! Under the Mound will be available for purchase from the Lyceum at a discount. Join us for the lovely launch on When I Was Small by Sara O'Leary and Julie Morstad. Both Sara and Julie will be there to answer any questions about their delightful series. ope you've been having a delightful summer! 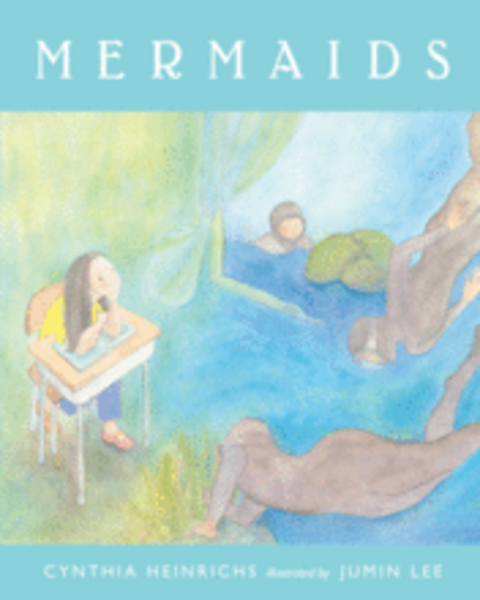 We have another launch for a lovely picture book: Mermaids by Cynthia Heinrichs and illustrated by Jumin Lee. Goodies and refreshments will be served! 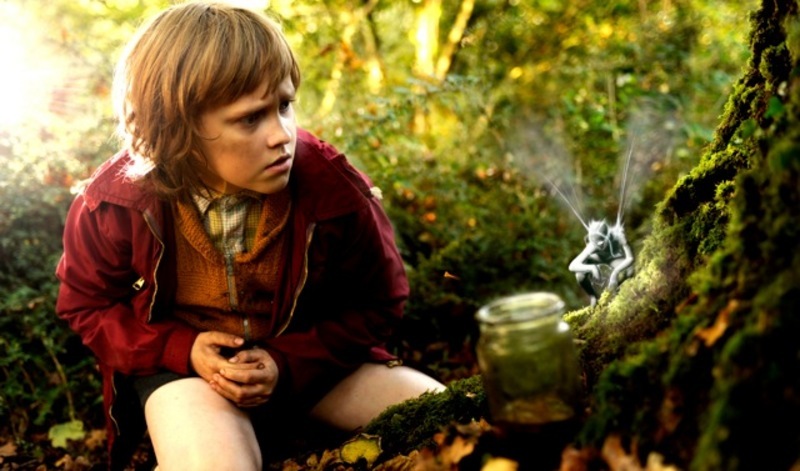 Meet Jessica Albarn, creator of The Boy in the Oak, and check out her art! Join us to celebrate the book launch for Dan Bar-el and Rae Maté's Pussycat, Pussycat, Where Have You Been! There will be delicious food and "amewsing" activities galore! Through her delicate and ethereal drawings, author and illustrator Jessica Albarn tells the magical tale of a lonely young boy and the journey he takes upon discovering an old oak tree in the garden of his family home, The story and images draw on the tradition of some of our grandest fairy tales, and this exhibition of the original artwork from the bestselling children's book The Boy in the Oak will enchant both children and adults alike. The book is soon to be released as a movie, narrated by Jude Law. 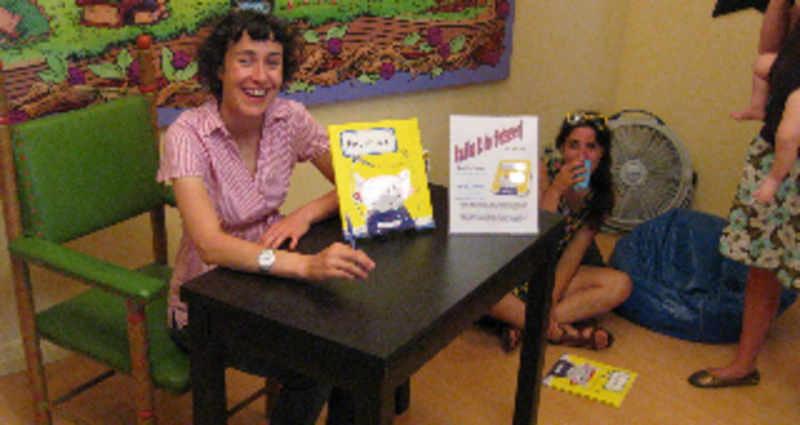 Check out the kids tent for readings from Julie Flett and Paola Opal! 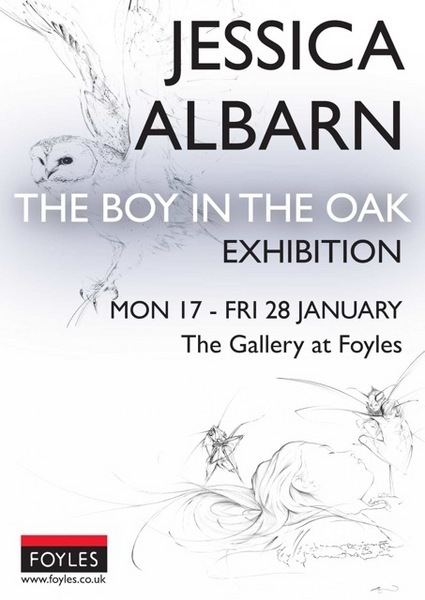 To celebrate this release of The Boy in the Oak, there will be an exhibition of drawings taken from the book, which will be on display at the Gallery in Liberty, London. 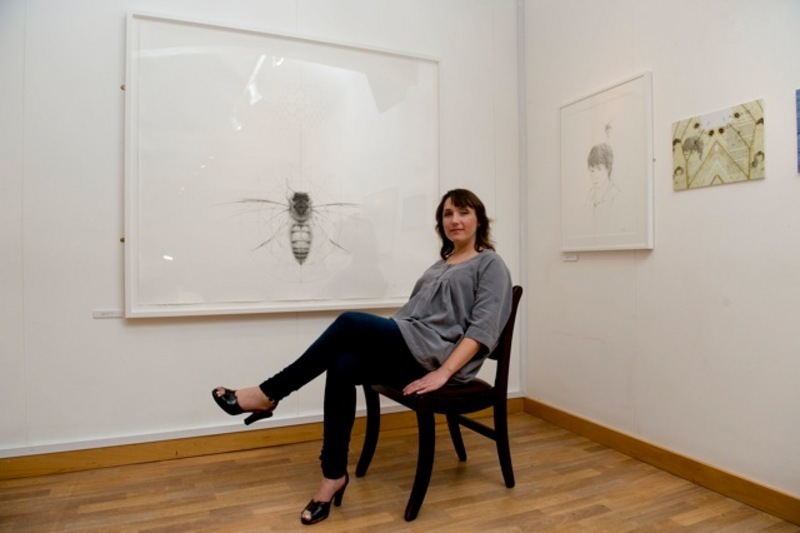 Check out Jessica Albarn's fantastic work! Panel discussion on how writers and illustrators work together to create picture books! Meet author Jennifer Lloyd for a reading, signing and more book launch fun! Meet our talented authors and illustrators and enjoy treats, door prizes and kids' activities! 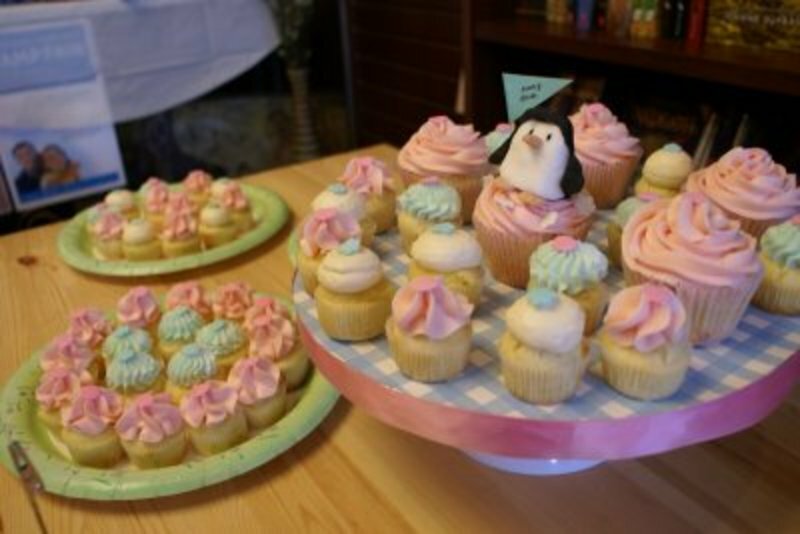 Create crafts, eat cupcakes and meet Julie Flett, author/illustrator of the beautiful "Owls See Clearly at Night"
Meet Jennifer Lloyd in her workshop: "An Umbrella of Fun!" Doug Keith, illustrator of The Bored Book, will detail his creative process for illustrating a picture book from the first story board to the final art! 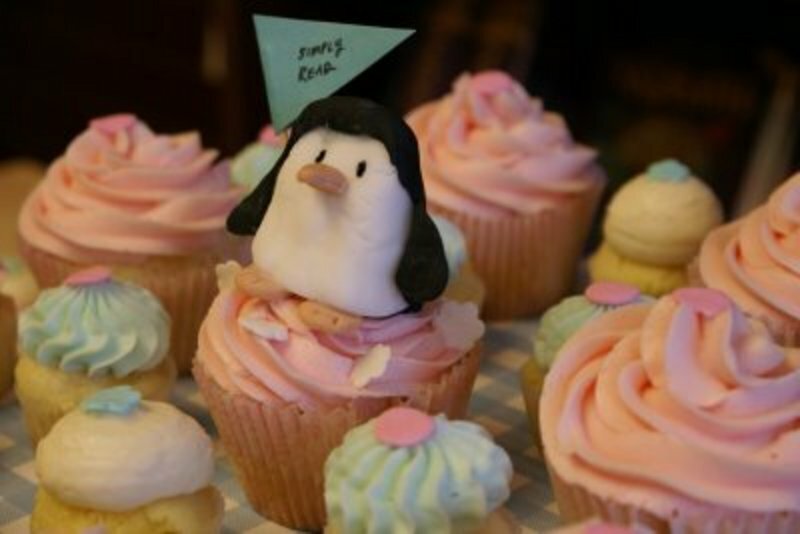 Cupcakes, crafts, book reading ... we hope you can make it! Join us at Collage Collage to see Lisa's works and enjoy a new colouring poster! Meet Stephen Parlato and get a signed copy of his fantastic book of dragons! Meet Stephen Parlato and get a signed copy of his amazing book of dragons! 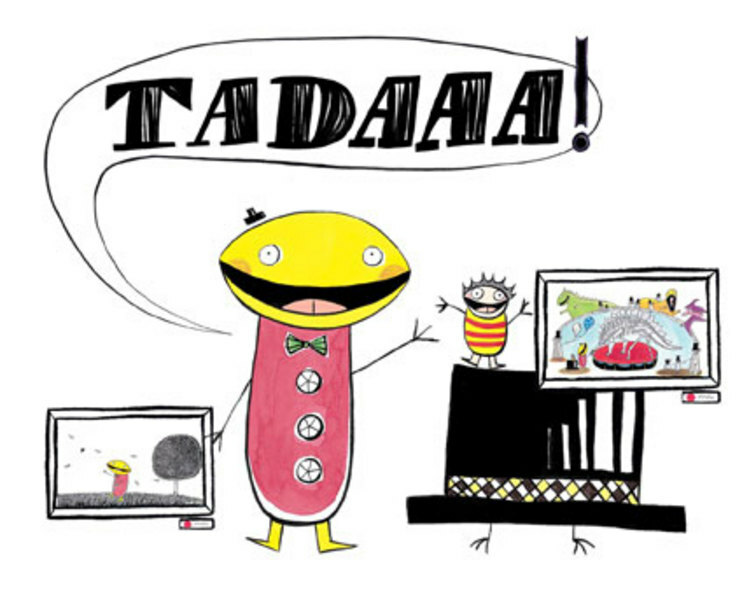 What: Meet David Slater concept author of The Bored Book! Celebrate the launch of Oliver Neubert's second book in the Chantel's Quest series! Book Signing at Barnes & Noble Bel-Air Md. Meet Stephen Parlato and support this school fund raiser for St. James Academy in Monkton! The Inside Story is a twice-yearly salon to celebrate the new books of area artists and illustrators. Doug Keith will present The Bored Book. Book Launch for The World Is Your Oyster! McNally Robinson Booksellers and Simply Read Books present Tamara James and Emma SanCartier launching their new book, The World Is Your Oyster. Come and join us for activities, snacks and books! For small fry and big fish alike! 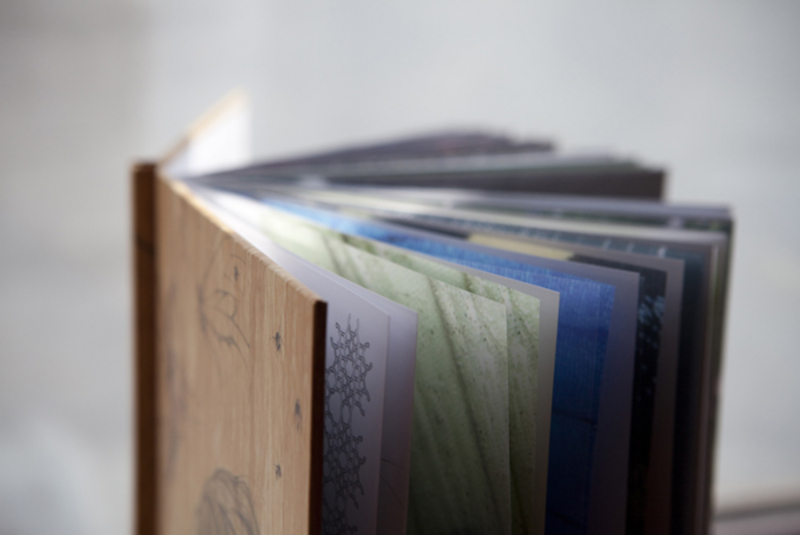 Check out the Edmonds Art Festival Museum gallery which has an exhibit featuring original work from The Bored Book. 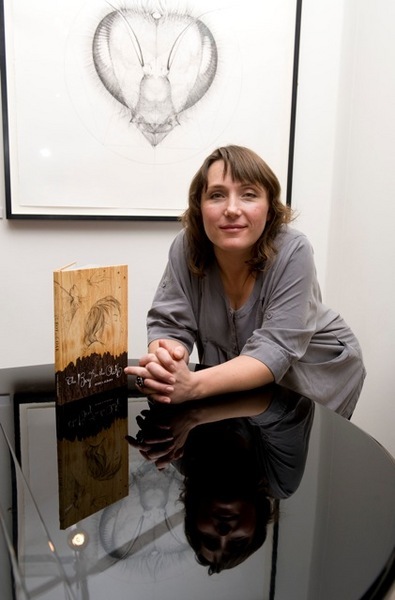 Author Claudia Osmond reads from her first novel, Smudge's Mark, in an event for children aged 10 and up hosted by Simply Read Books and McNally Robinson. Book Launch for Jack the Bear! Simply Read Books and Christianne's Lyceum are pleased to announce the launch of Christina Leist's first authored book, Jack the Bear. We welcome all picture book fans, Lyceum families and community members to help us celebrate. 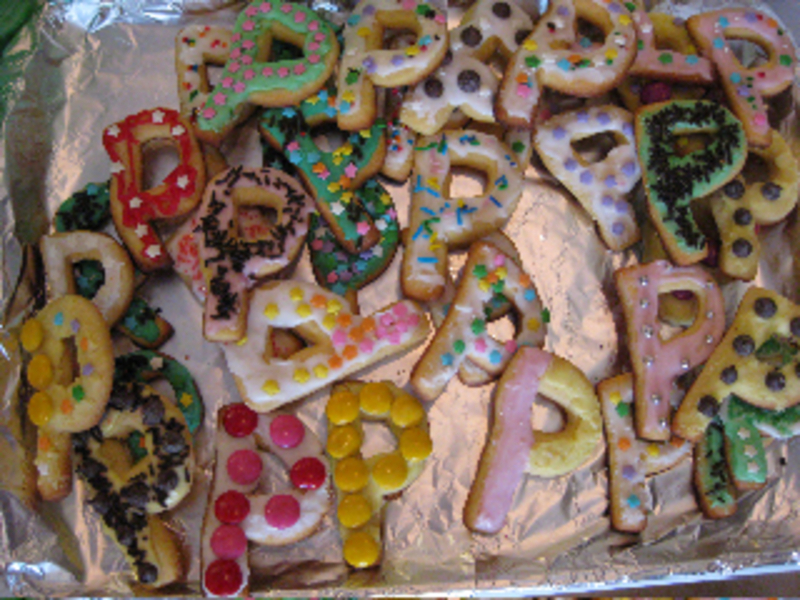 Snacks and beverages will be served -- including honey treats! Plenty of pleasing snacks, people and picture books! Doug Keith presents the creative process of book illustration! Meet this talented illustrator and learn about his latest book, The Bored Book! Come visit us at Book Expo America in New York, Booth 3366. Doug Keith, award-winning illustrator, will sign copies of his forthcoming picture book, authored by David Michael Slater. Loved Books will sign posters with awesome collage artwork from his forthcoming second picture book, Dragon's Love. Sara O'Leary, author of the bestselling When You Were Small, will sign copies of the 2nd book about little Henry, Where You Came From. Jennifer Lloyd begins her workshop with a reading from her picture book, Looking for Loons, using props and audience involvement. A nature guessing-game will follow. Next the participants will be actively engaged in a prop-filled reading of One Winter Night. Finally, the children will complete a related coloring craft. Reservations: (514) 485-6900. Meet Ashley Spires and listen to a reading of her silly & sweet new book. 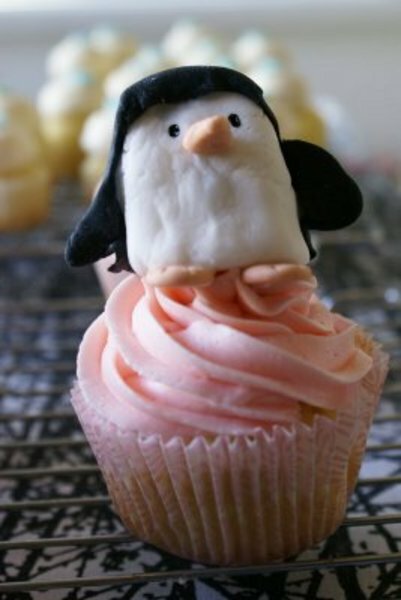 Be prepared to meet a reckless Penguin who likes pink, frosty treats! Enjoy visiting the lovely Dandelion Kids store, too! Author Jennifer Lloyd will be speaking and meeting students at Our Lady of Peace School. collaboration with Stephen during a weeks long 'artist-in-residence' program. Meet Ashley Spires and celebrate the launch of her sweet & silly new book! Matthew Porter will be doing a special reading of Monkey World December 13. Geneviève Côté tours New Brunswick reading and giving presentations at schools and libraries as part of TD Canadian Children's Book Week, the single most important national event celebrating Canadian children's books and the importance of reading. Meet celebrated author and illustrator Shaun Tan! Hosted by the Vancouver Children's Literature Roundtable.